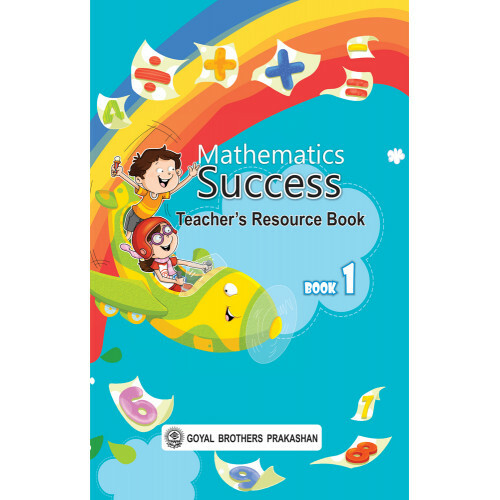 The series Mathematics Success Teacher’s Resource Books (1-5), is designed to assist those who teach mathematics at Primary level. Generally the concepts of mathematics are seen too difficult to understand and appreciate, which is a myth. School mathematics is very much within reach of average students, provided, the methodology we adopt to teach the young minds is as per their level of understanding. In fact mathematics should be treated as a subject of exploration and creation. To make children’s mind creative, a teacher must treat his/her students as participants not as receivers. This section highlights children’s previous knowledge. Before taking up any topic, it is very important for a teacher to find out what children have learnt so far. This section lists the learning outcomes to be achieved after completing that particular lesson. It provides outline of the chapter with description of the topics to be taken up without any details. This section contains meaning and complete explanation of words (or terms) which are new for the children. Illustrations or pictures (if needed) are used at appropriate places. This section tells about the items (material) which can be used to explain or demonstrate the lesson. Proper care has been taken while selecting the items, so that these are easily available. This section guides the teachers how to teach the lesson. Under this, various activities, methods, have been discussed. By going through these activities, a teacher can prepare himself/herself well in advance to teach the lesson. This section describes, why/when/how evaluation and assessment of the learners should be done. It provides a brief solution to some selected problems of the main coursebook.We hope that this series of Teacher’s Resource Books will be quite useful and helpful for the teachers. Pure Mathematics Book 2 For Class 7.. The Earth is a wonderful and unique planet. We are truly fortunate that we are living on this planet..